One of our favorite nights of the week is Friday and not just because it’s the end of the week. We love Friday Night Pizza Night! 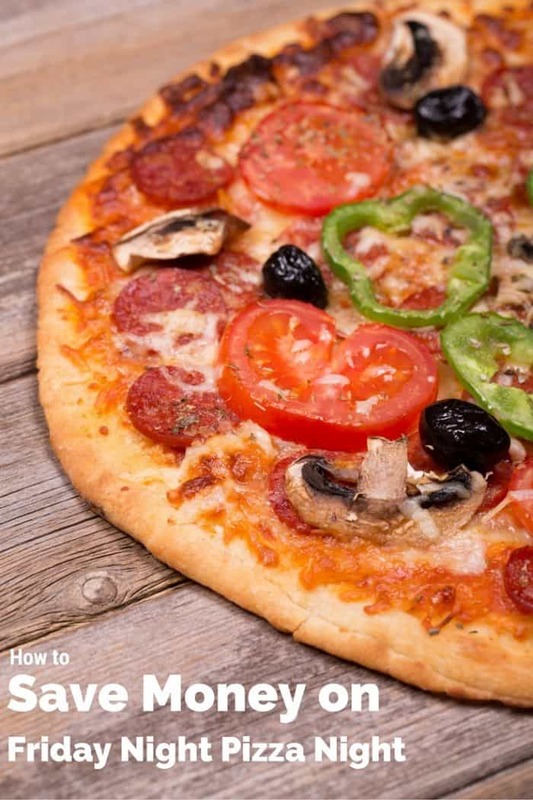 Over the years I’ve learned how to save money on Friday Night Pizza Night and I want to share my secrets with you. Make it special. We’ve learned that our girls don’t care where the pizza comes from if they feel like it’s a special occasion. I’ve done everything from special sides to the perfect pizza plate. 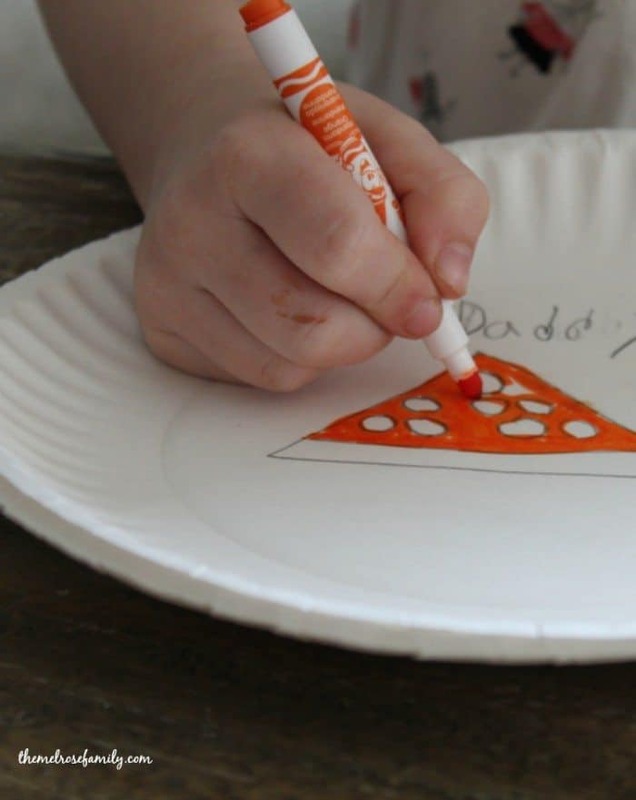 My kindergartner loves to draw and she especially love to write all of our names so creating personalized paper plates was right up her alley. It doesn’t have to be something huge. Even breaking out the fancy china can make it extra special. Take photos. In this day and age of Facebook and SnapChat, it’s all about photos and my girls have learned that it’s special if a photo is taken to capture the memory. I can remember being a kid and sitting around the table with my family every Friday night. I wish we took as many photos as we do now. Just look how proud of herself she is. 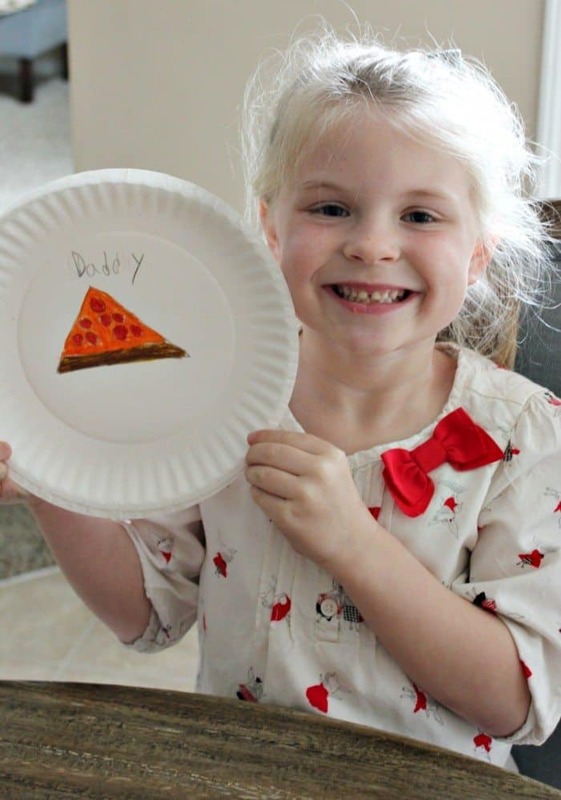 She not only saved her pizza plate, but she asks every time if she can make new ones each week. Who am I to deny that simple pleasure? Make it a complete meal. My girls are little, but they could eat pizza until the cows come home. In order to make it less of a pizza eating contest, I always make it a meal with a side. Our Kale Salad with Raspberry Balsamic Vinaigrette is the perfect healthy side. My girls love the colors and don’t just fill up on pizza, which means I can get away with one pie compared to two. 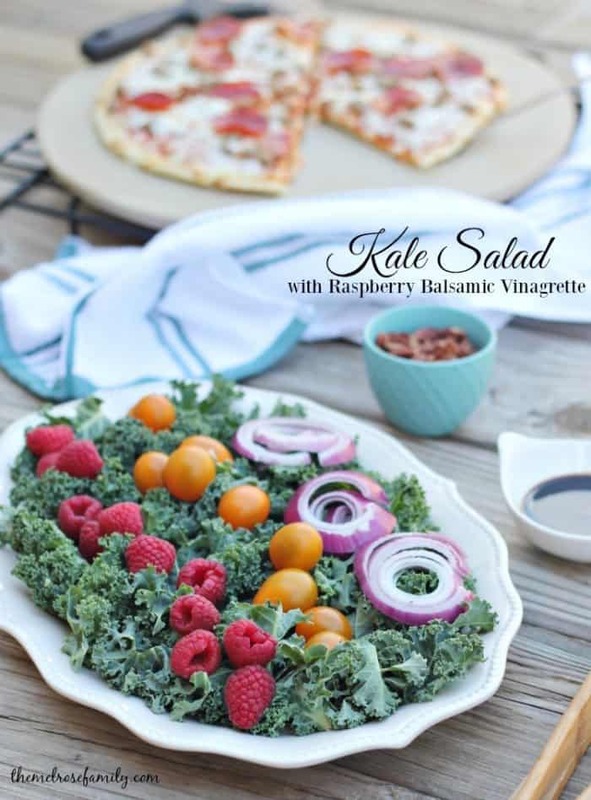 The chopped kale is topped with red onions, raspberries and cherry tomatoes. We top ours salad with Raspberry Balsamic Vinaigrette. Make it at home. My family loves pizza and they have a habit of not liking change. 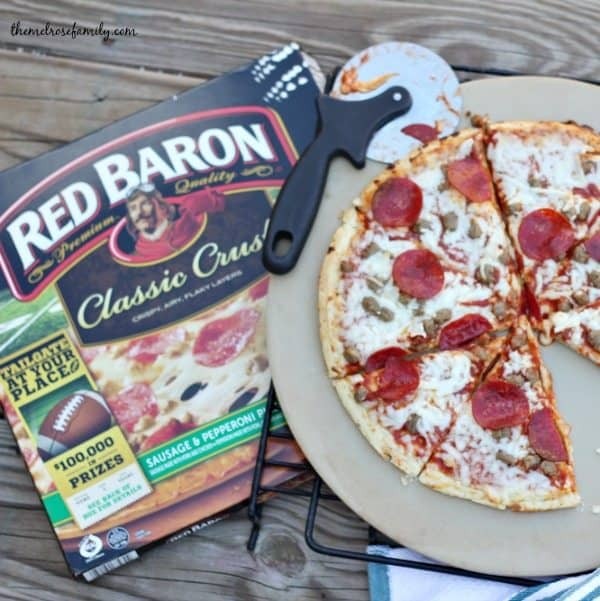 Luckily, Red Baron pizza has been a family tradition for longer than we’ve been a family. 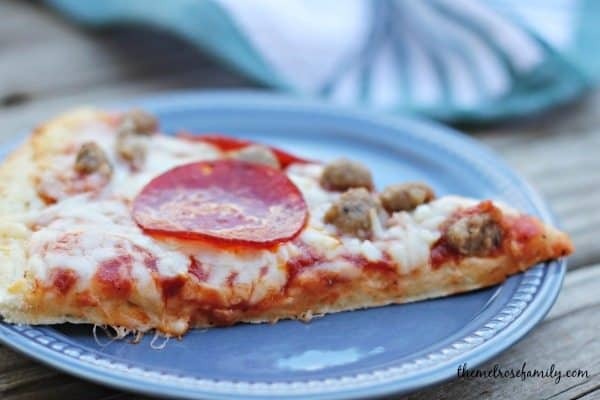 When I was younger it was all about eating the pizza and now it’s all about enjoying the time as a family sitting around the table hashing out our days to each other. Keep it Simple. The simple moments that surrounded by good food are always the moments remembered later down the road. We want our girls to remember our simple Friday Night Pizza Nights as the best night of the week for the good times as well as the pizza.